Stretching over four sandy kilometres Almanarre beach in southern France is a mecca for sun lovers and kite surfers. But its greatest treasure—a 2,000-year-old underwater archaeological site—lies just a few feet offshore. 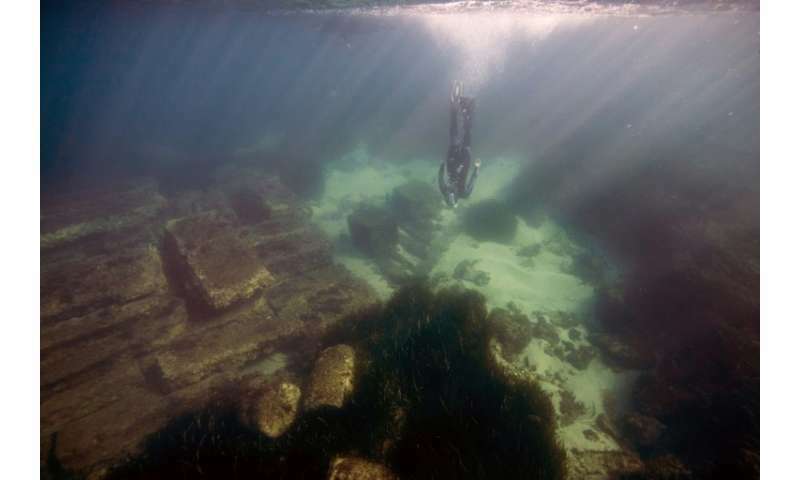 Welcome to the port of the ancient Roman city of Olbia, which fell victim to a slow rise in Mediterranean waters, but is still open for visits from explorers equipped with a snorkel mask and pair of flippers. 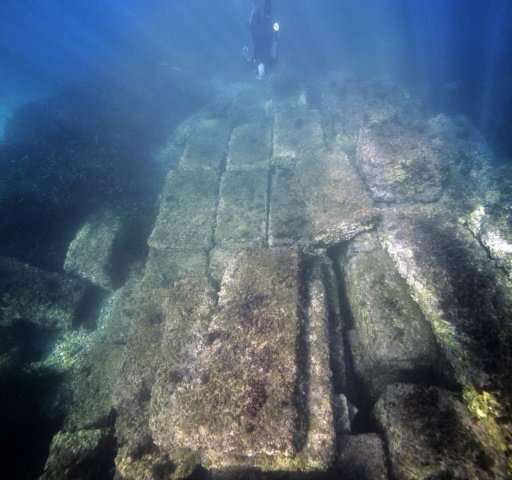 A collection of rectangular limestone blocks, some perfectly aligned, others scattered about on the seafloor, make up the watery remains of the dock of the city of Olbia, a fortified trading post founded by the Greeks in the 4th Century BC on the outskirts of the modern-day Riviera town of Hyeres. After the capture of nearby Marseille by Julius Caesar in 49 BC the region gradually came under the control of the Roman empire, which endowed Olbia with a port in the 1st Century AD. 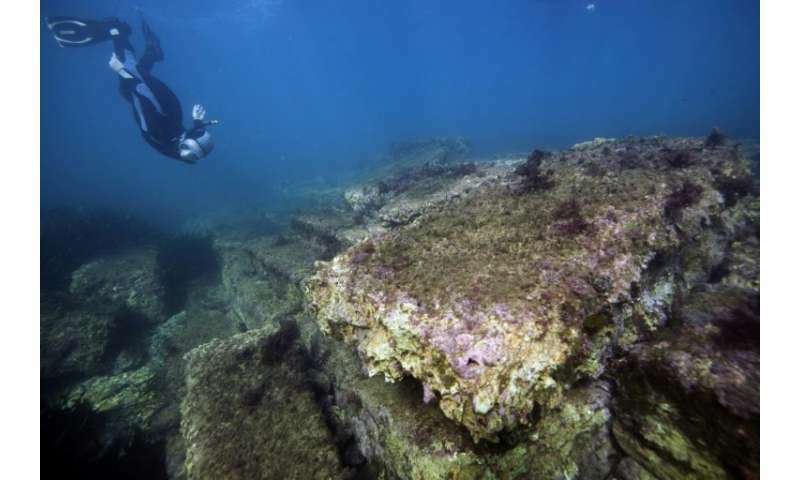 The 100-metre (yard) dock was only used for 80 years, according to marine archaeologist Lenaic Riaudel, who guides visits of the remains which lie close to the shore, in some places just inches deep. "The port suffered from its location, fully exposed to the (strong northwesterly) mistral wind but especially to competition from Toulon," a city 20 kilometres to the west, Riaudel told AFP. With many of the blocks looted by locals to build homes, the port went into decline and as the sea level rose—nearly a metre in 2,000 years—so the port gradually sank. Today, visitors can tour the remains of Olbia (meaning 'happy' in ancient Greek), including its thermal baths, shops, dwellings and fortifications, on a headland overlooking the sea. The city was inhabited for nearly 1,000 years before being abandoned during Frankish rule (450-751 AD) when the last residents moved further inland. While the land site, revealed a century ago, is visible to the naked eye, few are aware that a part of Olbia's history lies beneath Almanarre's iridescent waters, covered in mother-of-pearl and colonised by sea urchins and sea bream. Those who visit that part of the beach usually do so "because the water is always warmer here", said 39-year-old Riaudel, who has carried out hundreds of dives at the site. "I've been exploring this area for years and had never heard of it," Yves Corlobe, an instructor from a local surf school admitted. On Google Earth you can see many unnaturally straight lines in the water off the coast.